Find answers to frequently asked questions about foot surgery, ankle fracture, ankle surgery, toe surgery, and other orthopedic conditions involving the ankle and foot. If you have additional questions, please call Louisville Orthopaedic Specialists at 502-212-2663 for more information. What are the most common reasons for ankle surgery? Ankle fractures are the most common injury that results in ankle surgery. Not all ankle fractures need to be surgically fixed. Some ankle fractures can be treated in a cast or cast boot. Ankle surgery depends upon the amount of displacement of the ankle fracture fragments. My ankle really hurts after I play sports. What could be causing the pain? 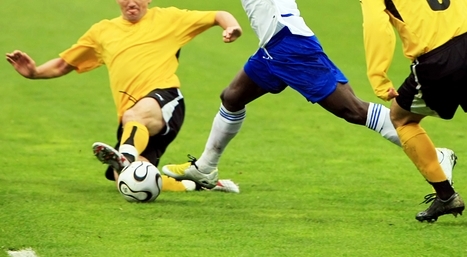 There could be several causes of ankle pain related to activity or sports. Tendinitis is the most common cause. Tendinitis of the ankle most commonly involves the: Achilles tendon, peroneal tendons, and posterior tibialis tendon. Another condition called osteocondritis (OCD) can cause ankle pain associated with sports. I think I have an ankle fracture. Can it be repaired? If you have an ankle fracture, it can be surgically repaired. There are many different types of ankle fractures. A range of factors determine whether surgery will be required for an ankle fracture or if a nonsurgical treatment is more suitable, including the type of ankle fracture, displacement of the ankle fracture fragments and ligaments involved. Check out Dr. Grossfeld’s Orthopedic and Sports Medicine Blog for more information about ankle injuries, foot injury and related orthopedic conditions.